From the time I was two years old, Walt Disney World was my family’s holiday destination. Once a year we’d pack our bags and head south to find the magical mouse and his gang of happy mates. For us, a trip to Florida was often a much-needed escape from a New York winter or a fun way to head into spring. As the kids grew, we continued to head south, but the destinations changed. There were many visits to family and even cruises out of the Fort Lauderdale area, a visit with a friend attending Tampa’s University of South Florida, a west coast extravaganza on sunny Marco Island, and a drive across the famed Seven Mile Bridge deep in the keys. These days my parents can’t wait to head south for weeks on end every winter. Retirement is treating them well as they ditch New York for the warmth of the Florida sunshine. There are friends who constantly remind me about the nightlife in Miami, the northern fun near Jacksonville, and a former student who often shares her joy about working in Orlando’s mecca of Disney magic. The Sunshine State has always been a part of my existence and it has more to offer than just vitamin D.
If you get to choose when to travel, choose wisely. 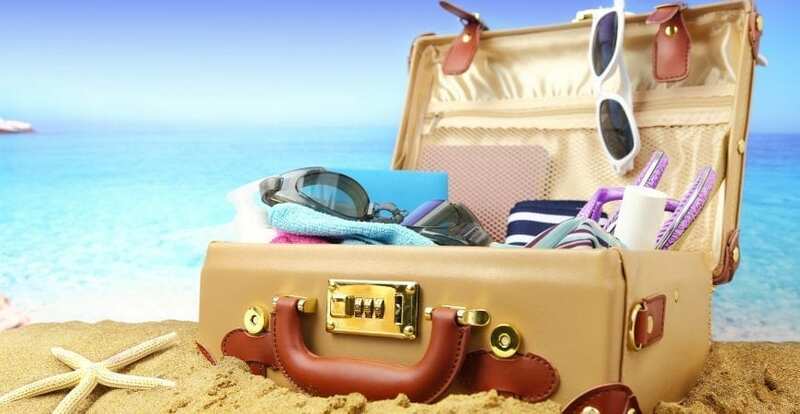 Consider the temperature in which you prefer traveling, the seasonal shift in crowds, the time when the price is best for you, and of course, factor in hurricane season. Whether you’re looking for the least amount of time you’d have to wait for your butterbeer at The Wizarding World of Harry Potter, the best time to visit Grandma in Delray Beach, or the most amiable weather for you – do your research, pack accordingly and always purchase travel insurance. You know those ‘don’t leave home without them’ items that are always with you no matter what – pack those first. These are the items that don’t care where you’re going, they’re coming with you. Grabbing ice cream in Fort Lauderdale? Visiting the panhandle? Partying in Miami? Your personal items don’t care where you’re headed… they’re coming along for the ride. Who you are, how you pay for stuff, any medical necessities, and the number to call if you need medical assistance have to make the cut. The rest, truly, is optional. Your Floridian adventure can take on many forms. For the most part, your clothing choices will be straightforward – but you might need some additions if you’re headed to a NASCAR event in Daytona, a bachelorette party in South Beach, or an intergenerational adventure at Disney. Whether you’re hitting the parks, the nightclubs, or the beaches, be sure to pack the basics. If you’re going to northern Florida in the winter then you also want to consider packing a warm hat, light gloves and a scarf. Believe it or not, it can get chilly, even as far south as Orlando and the Tampa Bay area! Wet/Dry Bag for the Win! Florida is known for sunshine, beaches, swimming pools, cruises, waterparks and wet fun. There is almost no chance that you’re not going to get wet on your trip south. And there is a very good chance that you’ll be in that pool until the last living minute before you sprint to the airport. What are you going to do with that last minute wet stuff? Jam it into a shopping sack? You know that cheap plastic is going to leak and ruin half the stuff in your bag. Don’t do it. Instead, invest in the wet/dry bag. This little gem is the answer too all of your wet and dirty travel messes from now on. Stick shoes in it. Schlep home a wet towel and suit. Separate out the stinky dirty laundry from the clean stuff. OR: use it as when you go to the beach to store your book, electronics and wallet in there until you’ve got a damp towel to carry home. Thank you! You’re going to love this bag, especially in Florida. You personal item should be a daypack or small duffle that fits entirely underneath the seat in front of you on an airplane. The dimensions for your personal item will be smaller than the dimensions of your main carry on bag, so check with your individual airline to double check their regulations. Bonus: The daypack is also the perfect day bag for Disney, a cruise outing, beach day (it’s almost perfectly waterproof! ), or around town. If you’re flying to your southern destination, you’ll need a liquids bag (unless you’re purchasing all liquid related necessities upon arrival). With the 3-1-1 rule still in effect, each traveler gets to bring one quart sized plastic zip top bag. Fill your bag with any liquid or gel based toiletries or products that are under 3.4 oz/100 ml and you’re good to go. Epi-pens, medications and baby formula do not need to be in this bag. If you’re driving to your destination, skip this part and feel free to fill your car, truck or camper van with all sorts of everything you’d like to bring with you on your Floridian excursion. And remember, it’s Florida: You can buy what you need when you get there. Those ‘what if’ scenarios run amok in all of our minds. Since there’s NO WAY to actually cover all of them, I recommend bringing along a tiny first aid kit with a few things for those possible ‘ouchies’ that might detract from that vacation you’ve been dreaming about forever. Keep in mind, unless you’re visiting a remote destination, you can pick up any first aid needs at a nearby drugstore or local supermarket. Each of us is on our own individual adventure. As travelers, we each have a different sense of ‘why,’ different needs along the way, and have a different ideas about to pass the time. 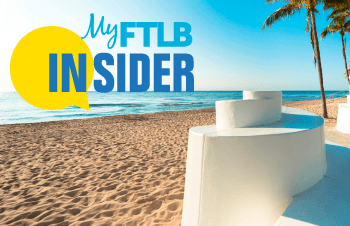 If you’re heading off on a Caribbean cruise and have a few days on either side in a port city – that’s one thing, but if you’ve got tickets for a weekend filled with multiple games of spring training baseball that’s a different vacation altogether. If, after you’ve packed all of the important stuff, you still have room and wish to carry items that fall into the ‘want’ category – go ahead. Remember, if you can manage without them, you’ll have more room for those souvenirs that will continually remind you of your Floridian journey. Florida is filled with sunshine, magic, nature, city life, waterways and life happening in each corner of the state and everywhere in between. Whether you’re headed south to escape the winter, out for an adventure in a national park, hitting the theme parks in Orlando, hanging on a houseboat along the Intracoastal, visiting friends in West Palm, Pensacola or Tallahassee or searching for seclusion on one of the endless beaches – the Sunshine State is waiting for you.